Both sexes macropterous; body and legs brown, tarsi yellow, antennae brown with apex of III and all of IV yellow; fore wing pale with light brown veins; all major setae translucent and broadly flattened.Antennae 7-segmented, V–VII closely joined, sensoria on III–IV forked, both arise ventrally; segments V–VII broadly joined. Head reticulate, fore ocellus small; ocellar setae II long, ocellar setae III small and on anterior margins of triangle; three pairs of postocular setae present, one pair of setae posterolaterally on cheeks; compound eyes large with at least five pigmented facets; maxillary palps 2-segmented. 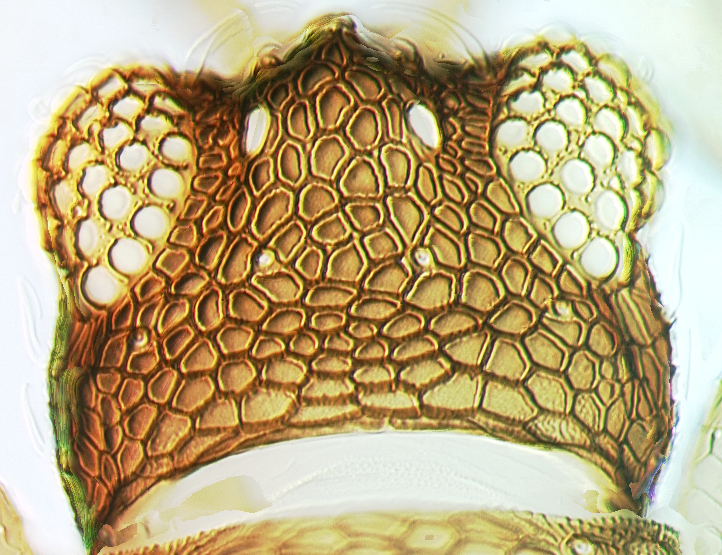 Pronotum reticulate with several pairs of large translucent setae with large basal pores. Mesonotum with complex granulate sculpture medially. Metascutum reticulate with one pair of large setae medially, no campaniform sensilla; metascutellum reticulate. Mesothoracic furca transverse, metafurca weakly transverse, both without spinula. Femora and tibiae reticulate, tarsi 1-segmented. Fore wing broad, parallel-sided, apex sub-acute; costa with no cilia; first vein fused to costa, bearing about 12 setae, second vein with about 9 setae, each about as wide as a wing vein and with large basal pore on prominent tubercle; clavus with three veinal but no discal setae. Tergite II not constricted; tergal median setae small; lateral thirds of tergites with granulate sculpture, I–III with small area of prominent reticulation medially; III–VIII posterior margins with broad craspedum; antecostal ridge of VII–VIII without a median seta; setae on IX no longer than X; tergite X almost symmetrical, median split almost complete. Sternites II–VII with broad craspedum, transversely reticulate, marginal setae small. 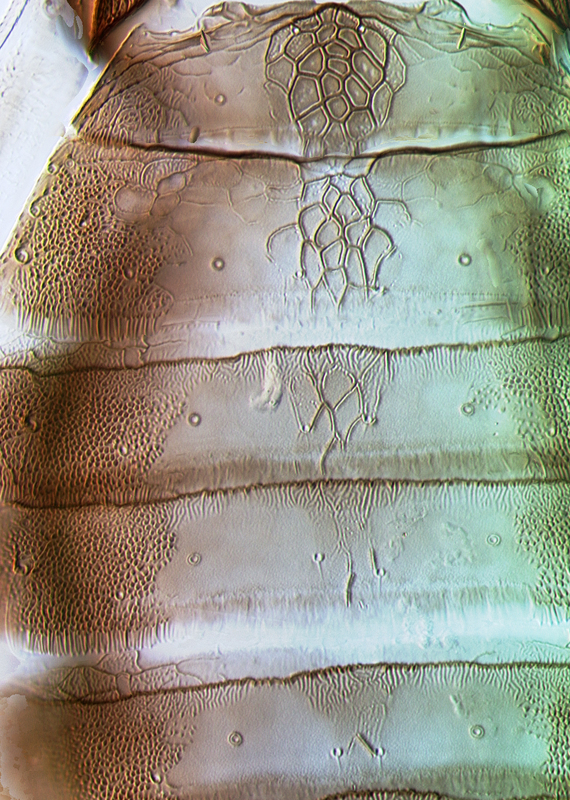 Male abdomen more slender; transverse pore plate medially on sternites III–VII; tergite IX without thorn-like setae medially. Larva II. Mainly yellow; antennal segments with annuli but no microtrichia; all major body setae capitate but scarcely longer than diameter of basal pores; dorsal surface of thorax and abdomen weakly tuberculate; tergite IX without marginal tubercles. 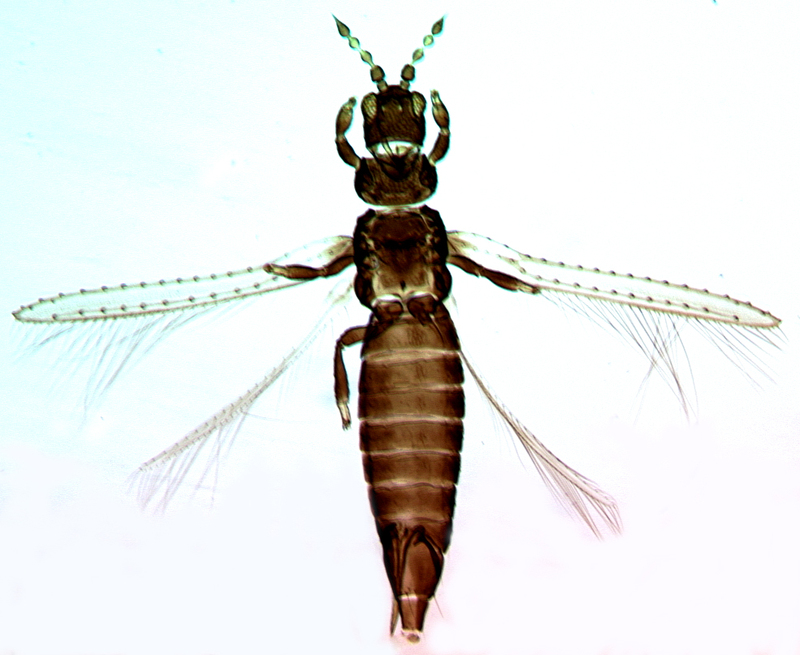 Stosicthrips is an Australian genus that includes a single species. This shares many character states with the worldwide species Parthenothrips dracaenae, and this may also have originated in Australia. However, the two species differ considerably in the form of the antennal sensoria, and in the form of the setae on the larvae. Breeding on Grevillea hakeoides, also on the cultivar Grevillea Robyn Gordon. Adults and larvae occur together on leaves.